I’ve had this photo for a couple of years, taken, if memory serves me well, at a wildlife park near bath. 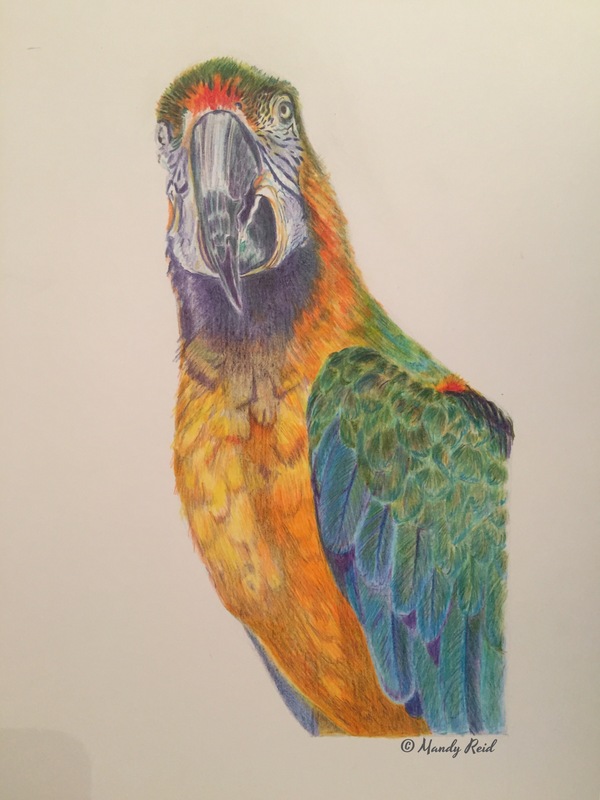 I really love all the colours in his feathers and I thought that coloured pencil would be a great way to go to make sure I could capture the colour intensity. I used Polychromos pencils on Bristol Board rather than pastel mat. I hoped the smoothness of the Bristol board would show off the sheen of the coloured feathers to better effect.